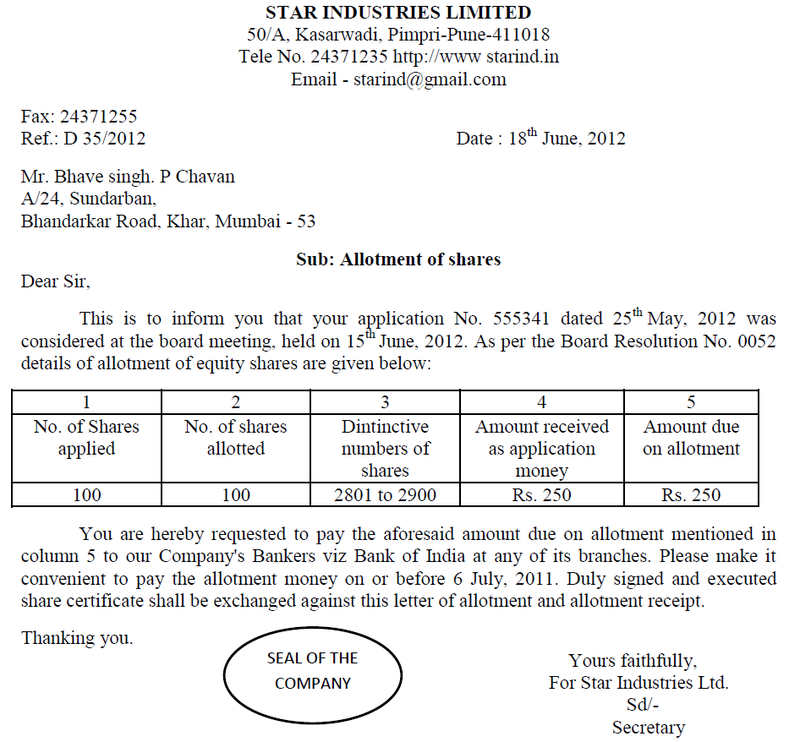 This letter informs a share applicant about allotment of shares. Intimation about allotment money due from allottee is also given in this letter. Allotment Receipt with perforation is attached with this letter. 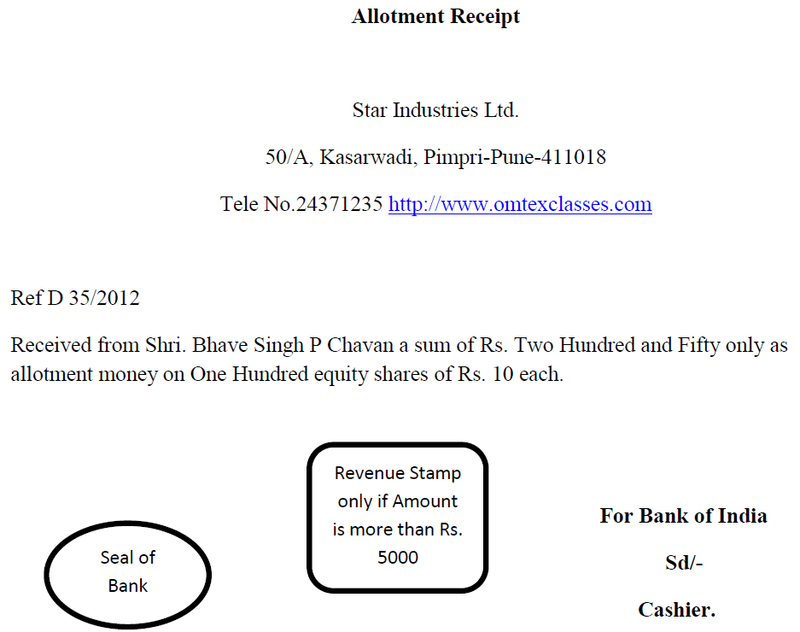 i) Reference number of share application and the number of shares applied for. viii) The letter of allotment is duly dated, stamped. and signed by proper authority. Letter of allotment has to be preserved by the allottee as the share certificate is issued by the company in exchange of this letter.